Hope you are all enjoying your New Year's Day! A quick look back on 2016. Eleven quilts were added to the quilting Que, with 41 total yards used. Over 60 quilts were quilted on the Longarm, along with 8 of my own! Not bad overall, but hope to use up a little more of the stash this year, and get a few more of my quilt tops quilted. I have started putting together the UFO list for 2017, with a couple of carryovers from 2016. As usual I have an ambitious list of projects waiting to be completed. I will try to link up each week with Judy over at Patchwork Times each week for the Sunday Stash Report and Design Wall Monday, so you can check out what I am doing and see what others are working on. Here are the final numbers for 2016. Numbers will reset to 0 starting today. Judy has also put together a 2017 UFO Challenge. She will be picking a Number from 1-12 each month to work on. I will be posting my UFO's later this week as I put them all together. This is a great way to get motivated to get at least a few of those UFO's complete. 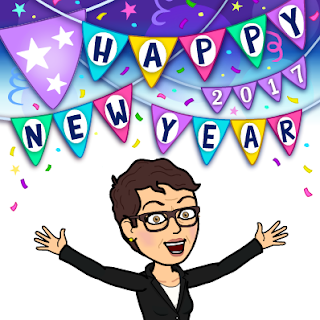 Looks like 2016 was a great year for you - will be following along with you in 2017!